Pets are welcome with a limit of 2 dogs per Glamping Hut. There is a $25 fee per pet (per stay). There is a breed restriction. Dogs must be on a leash within sight of any Glamping Hut or the Bathhouse. Wild Yough is proud to introduce glamping to the beautiful mountaintop playground of Garrett County, Maryland. “Yough” is short for Youghiogheny River, a state-designated wild and scenic river which runs through the heart of the property. The owners of Wild Yough split their time between this property and their home just outside Amsterdam in the Netherlands. They have stayed in many glampgrounds across Europe and Africa and are bringing those experiences, combined with a down-to-earth, Appalachian twist, to Wild Yough Glamping Huts. The glamping site will offer a true camping experience without all the hassle and fuss. With 350 acres of private land adjacent to thousands of acres of state park and forest, Wild Yough offers plenty of space to spread out, stretch your legs, watch the deer and howl with the coyotes. You won’t be packed into a row of RVs or tents. You won’t have to set up camp in the rain and you’ll never have to sleep on the ground! 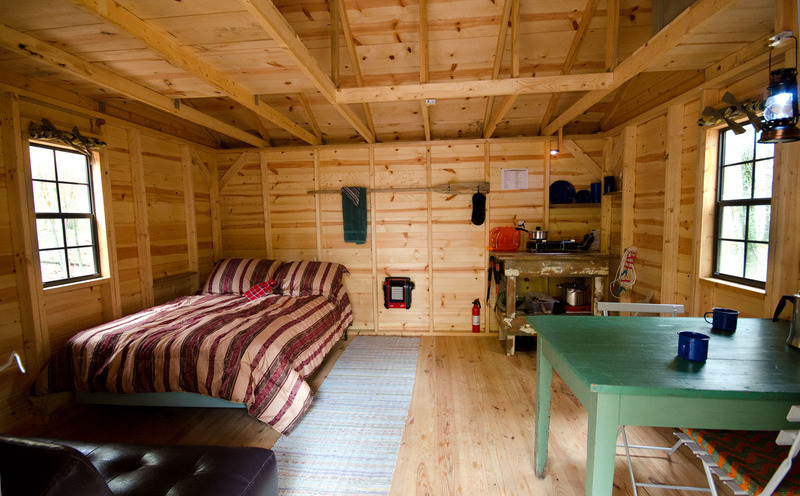 You’ll have your own heated hut, warm soft bed and private space for long evenings around the campfire. Also, the bathhouse and pavilion facilities are designed with comfort, cleanliness and relaxation in mind. The cozy cabins are tucked privately into the woods. Each hut is furnished with a double bed, additional seating/pullout bed, cabin cooking center with stove, dining table, LED lighting and a propane heater. Outside, each hut has a large picnic table and a fire ring/cooking grill with additional seating. The recreation pavilion and bath house are nearby. Each of the cabins is inspired by an adventure or special place. Delta provides a cozy, authentic Native American–style accommodation. This tipi is furnished with a queen bed, additional seating/pullout bed, cabin cooking center with stove, small bistro table, propane heater and LED lighting. Outside, this site will have comfortable chairs, a large picinic table, and a fire ring/cooking grill with extra seating. Cleaning and linens are included. Processing fee and taxes (12%) are extra.